I hope everyone had a fantastic Thanksgiving with your families! As we all know, now that Thanksgiving is over it is time to think about the upcoming holidays we all celebrate throughout December. It is one of my favorite times of the year. As you plan ahead for all of the events you are attending don’t forget about your hair and make up! Glamming yourself up for the holidays is one of the fun things to do before you head out for the evening of celebrations. When you book your appointment or special event regardless of when the event takes place, we want to extend a holiday discount and to encourage others to SHOP SMALL on Small business Saturday! 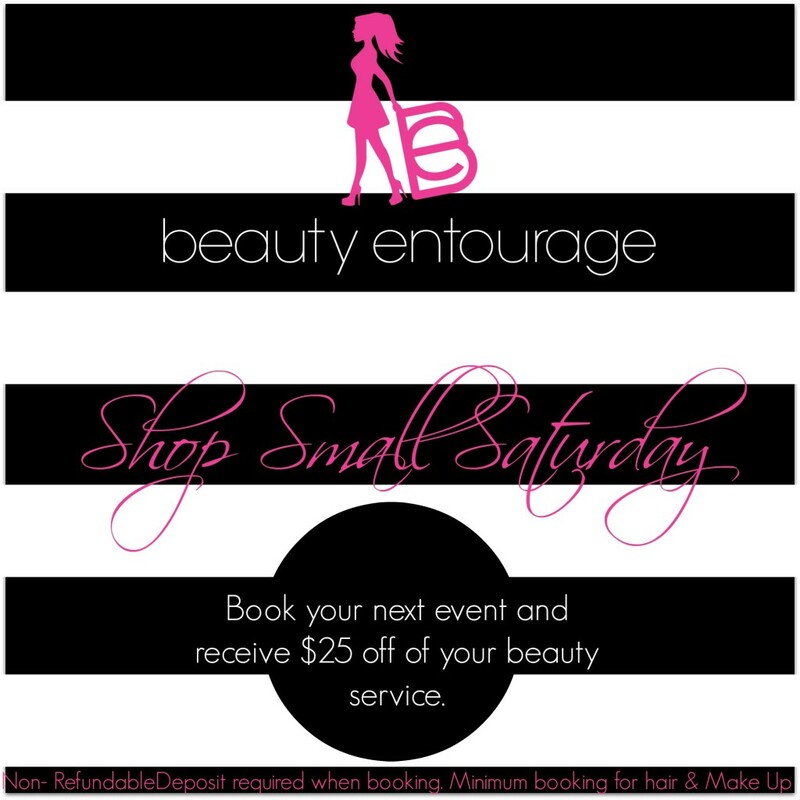 Today ONLY, when you book your next event, you will receive $25 off of your services. So, if your getting married next Spring, going to a New Year’s Bash, or just a night out on the town. Call or email us today and receive the $25 towards the services on that day. We travel on location for your convenience or visit one of our Suites!